Red, yellow, green and blue…. makes a balanced breakfast parfait. The strawberries grow on the ground’s surface, the peaches on a tree and the broccoli flowers top a strong stalk that sprouts from the soil. Process Wash the strawberries and peach well. Set aside. 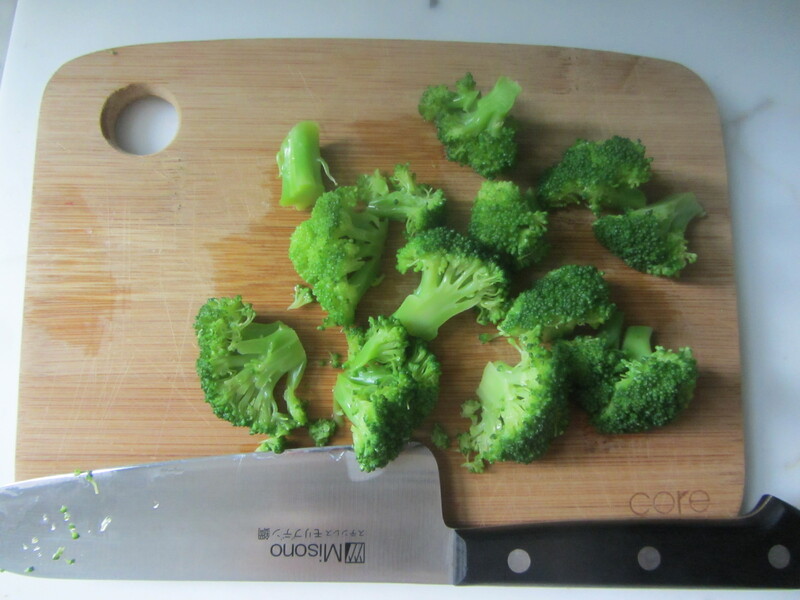 Trim the tough outer skin on the stalk of the broccoli and cut away any brown spots. Wash it well by immersing it in water. Cut the broccoli into smaller-than-bite-size pieces. Into a medium-size sauce pan, add water until it is about three-quarters full. Add a pinch of sea salt and bring to a boil. Drop in the broccoli pieces. When they rise to the top – after about one minute, remove them with a wire mesh skimmer or a slotted spoon.Set aside and allow to cool. Remove the tops and slice the strawberries; then cut them into small cubes. 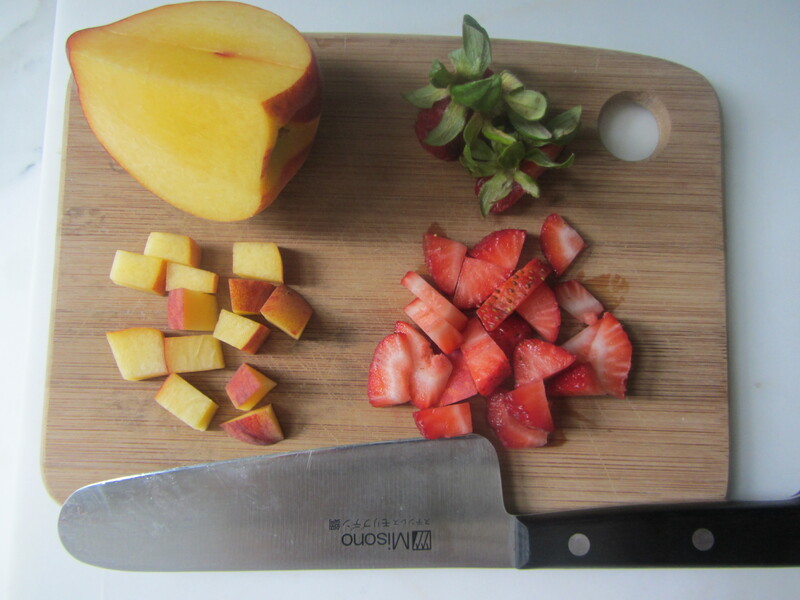 Slice the peach and cut each slice into pieces about the same size as the strawberry pieces. and save the broccoli stalk pieces for later. Use shot glasses or small dessert cups to layer the strawberry, peach and broccoli pieces so you have a stripe of red, a stripe of yellow-orange, topped with the broccoli florets peeking out of the top. Squeeze lemon or lime juice on top if desired.